Discussion in 'General Issues and Discussion Forum' started by NewsBot, Aug 20, 2016. Clinical practice guidelines are recommendations systematically developed to assist clinical decision-making and inform healthcare. In current rheumatoid arthritis (RA) guidelines, management of the foot and ankle is under-represented and the quality of recommendation is uncertain. This study aimed to identify and critically appraise clinical practice guidelines for foot and ankle management in RA. Guidelines were identified electronically and through hand searching. 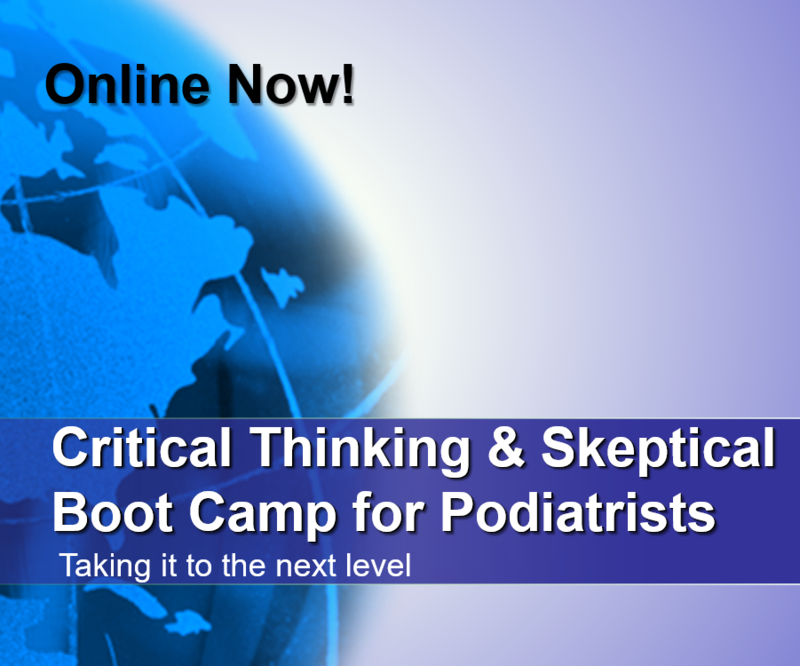 Search terms ?rheumatoid arthritis?, ?clinical practice guidelines? and related synonyms were used. Critical appraisal and quality rating were conducted using the Appraisal of Guidelines for Research and Evaluation (AGREE) II instrument. Twenty-four guidelines were included. Five guidelines were high quality and recommended for use. Five high quality and seven low quality guidelines were recommended for use with modifications. Seven guidelines were low quality and not recommended for use. Five early and twelve established RA guidelines were recommended for use. Only two guidelines were foot and ankle specific. Five recommendation domains were identified in both early and established RA guidelines. These were multidisciplinary team care, foot healthcare access, foot health assessment/review, orthoses/insoles/splints, and therapeutic footwear. Established RA guidelines also had an ?other foot care treatments? domain. Foot and ankle management for RA features in many clinical practice guidelines recommended for use. Unfortunately, supporting evidence in the guidelines is low quality. Agreement levels are predominantly ?expert opinion? or ?good clinical practice?. More research investigating foot and ankle management for RA is needed prior to inclusion in clinical practice guidelines. Foot problems in people with rheumatoid arthritis (RA) are highly prevalent and have a substantial impact on quality of life. Healthcare professionals from various professions can be involved in the management of these foot problems. There is currently no consensus on optimal management. Therefore, the aim of the present study was to develop multidisciplinary recommendations for the management of foot problems in people with RA in the Netherlands. The recommendations were based on research evidence and consensus among experts, following published strategies for the development of practice recommendations. The expert group was composed of 2 patients and 22 experienced professionals (rheumatologists, rehabilitation physicians, orthopaedic surgeons, specialized nurses, podiatrists, orthopaedic shoe technicians, pedicurists, and researchers) in the Netherlands. For each developed recommendation i) the level of evidence was determined, and ii) the level of agreement (among the expert group) was set by an anonymous voting procedure using a numeric rating scale. The mean and range of the level of agreement for each recommendation was calculated. A recommendation was approved when ≥70% of the expert group voted an NRS-agreement ≥7. In total, 41 recommendations were developed. Two recommendations concerned a framework for diagnosis and treatment. Thirty-nine recommendations on foot care were developed: seven on diagnosis (including check-ups of feet and shoes and diagnostic imaging), 27 on treatment (including corticosteroid injections, foot surgery, therapeutic shoes, foot orthoses, exercise therapy, toe-orthoses and toenail-braces, treatment of toenails and skin), four on communication, and one on organisation of RA-related footcare. All recommendations were approved by the expert group. The percentage score of NRS-agreement ≥7 ranged from 80 to 100%. These are the first published multidisciplinary recommendations specific to the management of foot problems in people with RA. Multidisciplinary recommendations can provide guidance in timely referrals and access to adequate footcare. More research is needed to strengthen the evidence on diagnosis and treatment of RA-related foot problems. These national recommendations may be a first step towards developing international multidisciplinary recommendations for the management of foot problems in RA. Clinical Practice Guidelines fail to meet the guidelines! Does a lack of knowledge constitute clinical malpractice?